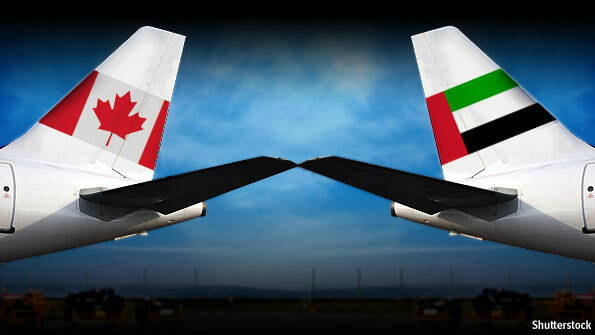 The UAE have announced Visa requirements for Canadians who wish to visit the UAE (source). The requirements are many, and the fees are expensive. And, they must be paid by either Money Order, Certified Cheque or Draft Cheque with the correct amount in Canadian Currency needs to be made payble to the UAE Embassy, Ottawa. Yes, that's correct. Canadians have to apply for a UAE visit visa at the UAE Embassy in Ottawa. There is no mention of what Canadians living in the GCC with valid resident visa's of their host GCC member country. I rang the Dubai Department of Naturalization and Residency and enquired about what Canadians with GCC visa's need to do for a visit visa to the UAE and was told that they must apply via the UAE Embassy in Canada. I'll talk to the UAE Embassy here in Oman next week and get a confirmation of that and update. So, basically, for those Canadians that live in the GCC (with a valid visa/resident card) are still in limbo as to what should be done for a visit visa to enter the UAE, and noticeably the Al Ain border point was not listed (presumably as that is not in the Emirate of Dubai). You've just got to love the organization skills of the Emiratis, eh? it will be cheeper for canadians to fly to the naboring countries then to go on a few day stay in the Emirates. Muppets, but I would expect nothing less. if it's any consolation the canadian embassy in abu dhabi is pretty much in the same league. even though visa requirements are clearly highlighted on their website, there's no follow up method other than via email/website. even if you try calling them up, you'll just have to sit and listen to the whole menu, with a final note saying "if you have any more inquiries please visit our website". it may be more organized than the UAE, but its neither convenient nor straightforward, its quite a hassle trying to obtain a Canadian visa - EVEN if its for a study permit!! Question- can someone please decipher what "Valid for 6 months, maximum stay in UAE 14 days each visit" means? I'm presuming it means you're doing a visa run every 14 days?